Superdry men’s Custom 1334 hoodie. Find that balance between cool and casual with the Custom 1334 hoodie. 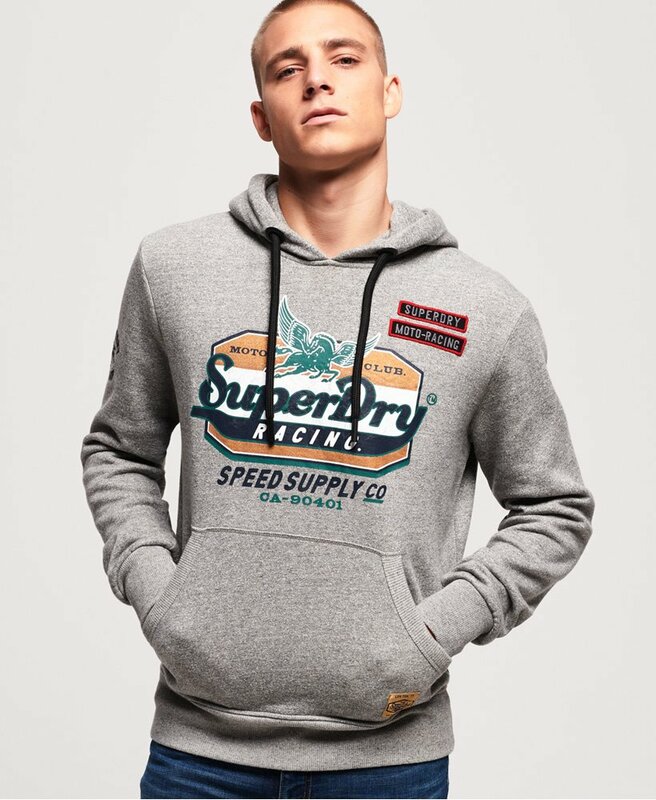 This overhead hoodie features a drawstring adjustable hood, ribbed cuffs and hem and a large Superdry logo across the chest in a cracked effect finish. The Custom 1334 hoodie is completed with embroidered Superdry logo detailing on one sleeve and a Superdry logo badge on the front pouch pocket.